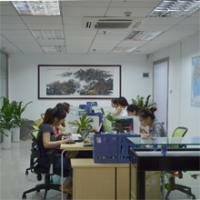 Lingdong Technology Co., Ltd. located in Shenzhen China. 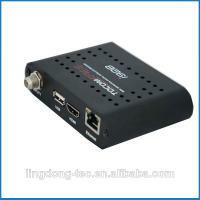 Specializes in the R and D, manufacture and export of digital satellite receiver. Lingdong Tec gathers top engineer in the DVB and digital satellite receiver industry. 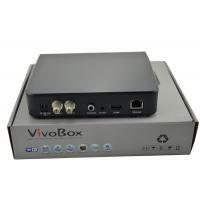 They are experienced and excellent in both hardware and software. Our engineer team is responsible for researching and studying new technology, designing and developing new models and offering technical support. We release more than 10 new products yearly. OEM, ODM and SKD orders are welcome. Up to now, we have a wide range of digital satellite receiver products, including FTA satellite receivers, patch satellite receiver, card sharing receivers, android IPTV receiver etc. Our products have been available in more than 100 countries and regions. Such like South America, North America, Europe, Southeast Asia, Middle East, Africa etc. Newest products, good quality, fast lead time, competitive price and good service is our motto. It is our pleasure to establish long-term business relations with you in the future.